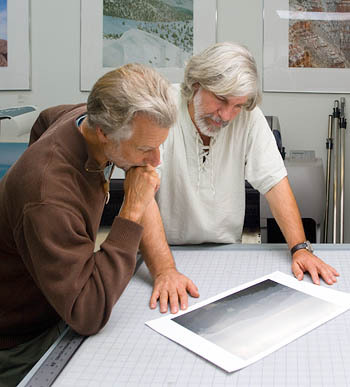 Work with Steve on making beautiful prints. Works great as a follow-up and refresher to his printing classes. Individual projects and demos as they arise. A chance to work on your own, but with Steve avaliable to evaluate and guide you, getting the hands-on help you really need. Paper and ink charged for as used. Photographs and Text Copyright ©2011, Stephen Johnson. All Rights Reserved Worldwide.